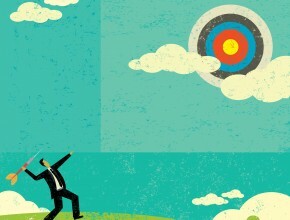 Competitive Advantage: What’s your Distinct Purpose? Your organization exists for a very specific reason, and most likely its purpose is different than any other company out there. This is your competitive advantage, or distinct purpose. Why was our organization started? Why does our business exist? Or What would be different in the world if we did not exist? One of our past Strategy Huddle’s focus on what a competitive advantage is and how to determine it in today’s environment. You can find it here. This further explains how to identify your distinct purpose. An excellent way to uncover the purpose of your business from a different perspective is to talk with your employees. What do they think the distinct purpose of your organization is? Capture your staffs’ impressions of your business’ purpose, use an employee questionnaire. These responses will help you uncover your competitive advantage. You may be amazed at the insightful comments you receive back from your team. Consider filling out the questionnaire yourself because that might also surprise you!